"Muslims in Myanmar are the victims of the strategic interests of the big powers," Selçuk Çolakoğlu, an expert from the Ankara-based International Strategic Research Organization (USAK), told Sunday's Zaman, adding that the Myanmar issue has an international dimension. (Ahlul Bayt News Agency) - Although continuing violence against the Rohingya Muslims in Myanmar alarmed the international community, bringing their plight to the international agenda, experts agree that Muslims in Myanmar are the victims of a global power struggle and that the international community should end its silence on the situation affecting the Southeast Asian country. The first glimmer of violence in Myanmar occurred in June after claims that three Rohingya Muslims raped a Buddhist woman. Following the allegations, extremist Buddhists started killing Muslims living in Arakan province, the location of the recently escalating violence in the country, near Bangladesh. "What kind of solution can be found for the conflict is a question mark. The issue should be put on the UN agenda. But it's impossible for the UN Security Council to issue a resolution against the Myanmar government due to Chinese influence. Myanmar's government has had very close relations with China for 20 years. Therefore, Myanmar is an important country for the other powers due to its relationship with China. The competition for leadership between China and the US in the Indian Ocean is serious. Recent visits by US officials to Myanmar are to break Chinese influence in the region," said Çolakoğlu. Agreeing with Çolakoğlu regarding the role of the global powers in Myanmar, Sait Demir from Turkey's Humanitarian Aid Foundation (IHH), told Sunday's Zaman that the major powers had significant interests in Myanmar, adding that due to these policies they remain silent on the situation in Myanmar. "Myanmar also has important natural resources. Therefore, the US and China have conflicting policies in Myanmar," said Demir, adding that both powers supported Myanmar's government. According to official statistics, 4 percent of the 75 million people in the country are Muslim, while 89 percent are Buddhist. The Muslims are not seen as citizens of Myanmar by nationalist Myanmar leaders, officials and fanatical Buddhists, and in turn are exposed to discrimination. "Myanmar's government has an important role in the current conflict. 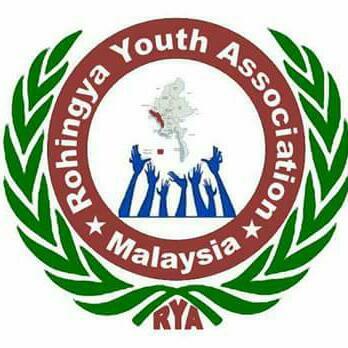 Since the independence of the country, there has been an exclusionary policy carried out by the government against the Rohingyan Muslims to create a nation-state based on the Buddhist ethnic group. In this sense, the other religious and ethnic groups are either being assimilated or forced to migrate. This policy is carried out to reduce the influence of these groups within the country," said Çolakoğlu, adding that the conflict in Myanmar had two aspects, ethnic and religious. Tun Khin, president of the Rohingya Organization, said the international community should take immediate action concerning the situation in Myanmar, adding that pressure should be put on the government. Stating that the attacks on Muslims are not a sectarian issue, Khin claimed that the regime in the country had prepared a plan to murder Muslims. Agreeing with Khin, Demir said Myanmar's government was provoking the conflicts between Muslims and Buddhists, adding the government was arming the Buddhists against Muslims. "The government is applying a divide and rule policy," said Demir. Turkey has called on international organizations, especially the UN, not to remain silent about the violence against Rohingya Muslims in Myanmar. Foreign Minister Ahmet Davutoğlu spoke with the secretary-general of the Organization of Islamic Cooperation (OIC), Ekmeleddin İhsanoğlu, and Bangladeshi Foreign Minister Dipu Moni last week about the situation of Rohingya Muslims in Myanmar. A Turkish diplomatic official told Sunday's Zaman that Turkey was following the situation in Myanmar closely, adding that Turkey has always supported the reform process in Myanmar. "Turkey is currently carrying out a fact finding process in Myanmar. Turkey has contacts with both the OIC and the UN. Turkey is also in touch with authorities in Myanmar and Bangladesh," said the same official. Meanwhile, to mobilize international opposition to the situation, during a visit to China in June İhsanoğlu discussed the situation with Chinese authorities, pleading with them to closely follow the situation and to take the initiative with its southern neighbor Myanmar, with which it has close relations. Myanmar President Thein Sein declared a state of emergency in Arakan province following clashes between Buddhists and Muslims and deployed army troops to restore stability. Defining the attacks as "ethnic cleansing based on race and religion," Wakar Uddin, chairman of the Arakan Rohingya Union (ARU), said the state of emergency in Arakan further was further deteriorating the living conditions of Muslims, while Buddhists ignored the state of emergency. Decades of discrimination have left the Rohingya stateless, with Myanmar implementing restrictions on their movement and withholding land rights, education and public services. Myanmar's government is currently not allowing any media organizations to enter the country. "No one is allowed to enter Arakan province. The government has also arrested UN staff in Myanmar," said Demir. UN High Commissioner for Refugees (UNHCR) spokesperson Melissa Fleming said last Friday that 10 UN staff and aid workers have been arrested in Myanmar. Martin Nesirky, spokesman for the UN secretary-general, also confirmed this news, adding that the UN was following the situation with concern. There are also contradictory figures regarding the death toll of Muslims in Arakan province. An aid team from the United Nations, which is the only foreign team that was allowed to enter the region, has said the death toll was neither as low as Myanmar's government had declared nor as high as activists have claimed. "The number of deaths is not clear, and it is contradictory. It is not possible to find the bodies of the Muslims. It is said that 1,500 bodies are lost," said Demir. "Even though Bangladesh closed its doors to Rohingyan Muslims, there are still 150,000 Rohingyans in refugee camps in Bangladesh," said Demir, adding that relations between Myanmar and Bangladesh had deteriorated due to the Rohingyan Muslim issue. Demir stated that Rohingyans, who are denied citizenship and ethnic recognition in Myanmar and instead are viewed as illegal immigrants from Bangladesh, are not allowed to work or have a house, adding that there is no electricity in Muslim villages in Myanmar. Although, local sources claimed last Monday that the conflict had somewhat eased, Demir, who has been serving in Myanmar for nine years, said he didn't believe that the conflict had eased, adding that the Myanmar government had started deploying army troops near the region to provoke the conflict.